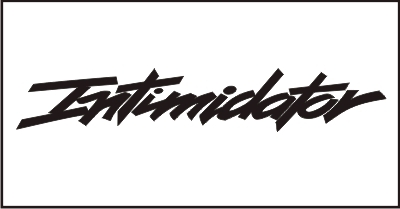 Join the Earnhardt e-mail newsletter! List members receive DEI & RCR updates and information. 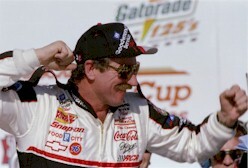 February 18, 2011 - From the mid-1990's thru today -- 10 years after Earnhardt's death -- and beyond, The Earnhardt Connection has been a popular online destination for fans of Dale Earnhardt. We are currently working on a long overdue update to our website. Please stay tuned for updates over the next week. In the meantime, please drop by the message board for news and fan discussion. August 1, 2006 - In a race that played out like a chess match instead of full-contact karate, Dale Earnhardt won the rain-delayed 1995 Brickyard 400 in front of several hundred thousand fans at the Indianapolis Motor Speedway -- while a national television audience watched their local news. Full Story. March 21, 2006 - If Dale Earnhardt was this good in a car he didn't like, can you imagine how dominant he'd be in one he liked? Forced to use a two-year-old Chevrolet that he had never raced before -- and starting in 24th place -- Earnhardt snapped a three-year, short-track drought with a seven-second victory over Ken Schrader in the 1994 Food City 500 at Bristol Motor Speedway. It was his eighth victory there, and 61st overall. Full Story. Are you a member of TEC's Fan Center? At The Earnhardt Connection's Fan Center, fans can get to know other fans by sharing their stories and interests. Feel free to write up a short story about how you got interested in NASCAR, why you're a fan of Earnhardt, how you might have met him, show any pictures you have taken, etc. Don't worry that you may not be the best writer; the point is to get your story included. To visit the Fan Center and submit your story, click here. Welcome to The Earnhardt Connection. We hope you enjoy your visit. If there is anything we can do to assist you, please let us know.